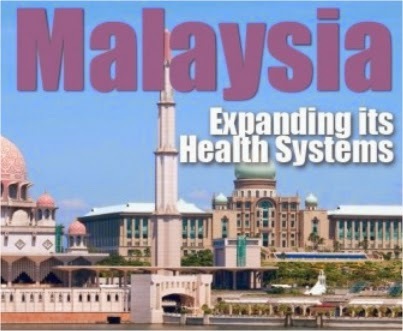 Malaysia will further cooperate and collaborate with the Indian government in the field of traditional Indian systems of medicine, said Health Deputy Director-General Datuk Dr Jeyaindran Sinnadurai. The cooperation includes expanding the scope of services at government facilities, training and education, research and development as well as regulatory issues pertaining to Traditional and Complementary Medicine (T&CM). He said that the T&CM concept has been well accepted and has played a significant role in helping patients, including cancer patients, in getting better through rehabilitation and homeopathy. Dr Jeyaindran disclosed this at a press conference after accompanying an Indian delegation in conjunction with the 2nd Bilateral Technical Meeting on Cooperation in the Field of Traditional Systems of Indian Medicine Between Malaysia and India at the Cheras Rehabilitation Hospital, here Friday. Among members of the delegation were India's Secretary of the Department of Ayurveda, Yoga and Naturopathy, Unani, Siddha and Homeopathy (AYUSH) Nilanjan Sanyal and First Secretary of the Indian High Commission K. N. Ramachandran. Apart from that, Dr Jeyaindran also urged more Malaysian Indian students to take the opportunity of the 20 scholarships offered by the Indian government to undergo degree courses in various traditional medicine systems in Indian institutes and colleges.